Rebuild Wine Country + Habitat for Humanity Sonoma County hasn't added a story. 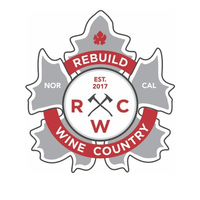 Inspired by the 2017 North Bay Wildfires, Rebuild Wine Country was developed with one goal in mind: to provide long-term fundraising support to Habitat for Humanity for the rebuilding efforts of Northern California’s wine country communities continuously affected by wildfires. 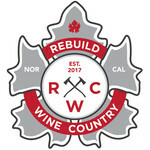 Donations to Rebuild Wine Country are dedicated specifically to rebuilding homes and spurring recovery efforts. We partnered with local Habitat for Humanity affiliates to immediately impact the communities most in need. Volunteers work with discounted materials to rebuild and repair homes of those who need it most, stretching every dollar contributed. Donations will continue to give back to the lives directly affected by the deadly fires in Northern California for years to come. Habitat for Humanity partners with people in your community to help them build or improve a place they can call home. Habitat homeowners help build their own homes alongside volunteers and pay an affordable mortgage. With community support, Habitat homeowners achieve the strength, stability, and independence they need to build a better life for themselves and for their families. Habitat homes are built with 90% volunteer labor. Construction volunteers work alongside a dedicated construction team, Crew Leader volunteers and partner families to help build Habitat houses. Founded by the team behind Senses Wines , Rebuild Wine Country is a group of volunteer wine industry professionals working with local Habitat for Humanity chapters to raise $5 million to build, repair and rebuild homes lost in Sonoma, Napa, Solano, Mendocino and Lake county wildfires. The team grew organically through the relationships between like-minded individuals and organizations that wanted to give back to their communities in desperate need. These industry leaders form the backbone of our organization, now comprised of a vast network of passionate individuals donating their time to help Rebuild Wine Country. This is a call to action; it is your opportunity to help those in need during a time when it is difficult to know exactly how to help. Thank you so much for your support of our beloved extended wine country community! Rebuild Wine Country + Habitat for Humanity Sonoma County hasn't posted any updates yet. Rebuild Wine Country + Habitat for Humanity Sonoma County is managing the funds for this campaign.